It’s not easy to select a business name. You want one that is memorable and means something. You might pick a name that articulates the message behind your brand, then find out someone else is already using it. A title might be to your liking, yet you are cautioned against using it by people you respect. In the end, you might end up spending more time than anticipated trying to come up with the perfect name for your business! Well, guess what? You’re one of many people who have issues picking a brand name. As such, we’ve assembled the greatest business name generators in this article. Try out a few and minimize the stress that comes with naming your company. However, prior to beginning your exploration of this subject, we want to ask you if you’re in search of a corporate identity and logo for your organization. If so, check out the logo maker called Logaster. No technical skills required to use this logo creation tool, which you can try out here. Namefruits seems to be the best company name generator that can be found online. It is not free, as it offers a unique artificial intelligence-led naming process. The founder only has to answer simple answers to his project and his desired style and Namefruits generates matching name suggestions, which are perfected step by step. In addition to extensive name types and styles, the name is also subjected to a domain and trademark search and sent through further clever checks. It is definitely unique! Shopify is a popular e-commerce business platform ideal for developing and tracking your online store. It also provides a terrific tool to help you come up with a perfect company name. Simply enter a relevant keyword associated with your industry and pick one from the results you’re given. Mostly centered on startups, Name Mesh is great for new businesses that are looking to make an impact in the market. Several keywords can be entered at once when performing a search. You’ll have the choice to pick regular, short, new, fun, similar, mixed, and SEO-related idea categories. Are you eager to launch your company immediately? You’ll love this generator if that’s the case. Enter one or two words and see all available names instantaneously. Since BNG automatically checks to see if a domain is available via GoDaddy, you can get many things done with minimal clicks. Try using BrandBucket to come up with a creative company name. This generator provides over 37,000 names to choose from. Once you type in descriptive keywords, you’ll have a few lists to pick from: all, keywords, and invented. 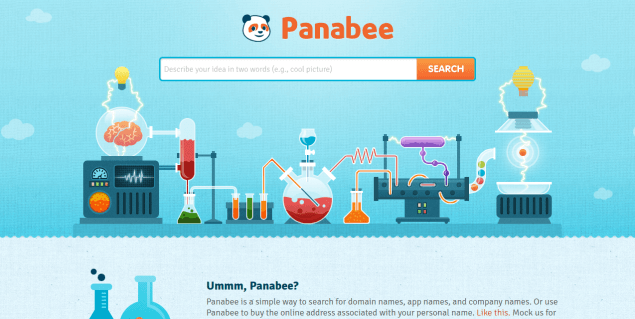 Panabee is a collection of name generators you can use to find the most optimal handles for your social networks, apps, company, or domain. If the name you want has already been chosen by someone else, you will have alternatives to pick from. Domain availability and alternatives are also provided. This site mainly concentrates on designing account software, giving users a free, fun, and beautifully designed tool to have business names generated. Fresh Books offers an accurate list of potential names, letting you select an industry before picking keywords. You can title your company with help from Word Lab’s discussion groups. You’ll receive assistance from others, and a couple of generators allow you check for domain and business name availability. Type in keywords that articulate your company, and pick from the options you’re given. Additionally, you can click the “I’m feeling lucky!” link to reveal original names. If the generator impresses you, you’re free to download the company’s eBook, “How to Name Your Business”. Prior to beginning generating names, you should read the large list of randomly assembled business titles for inspiration’s sake. You can Google the meaning of a name by clicking the magnifying glass icon. Clicking the planet icon will reveal the domain availability. If you require a complicated business name generator, Names 4 Brands will search for random word generators on your behalf. You can also search for domains or use a numerology calculator without leaving the site. 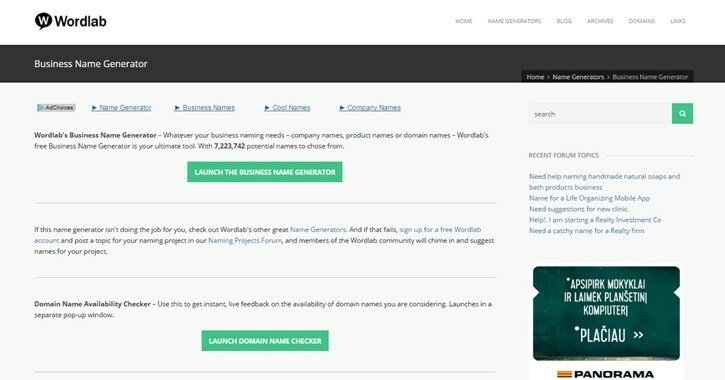 This generator provides over 10,000 original business names. Simply search for your company name by keyword or category. What makes this site unique from others is that the names available to browse have already been branded and created for you. If searching for created brand names doesn’t interest you, One Click Name is worth checking out. An alternative to Domain Hero and Nameroot, you can use One Click Name to describe your company with a few keywords or pick your industry from the choices given. Review your options after entering as many as 5 keywords. Select between specific keywords, rhymes, blends, modifications, suffixes, and more. 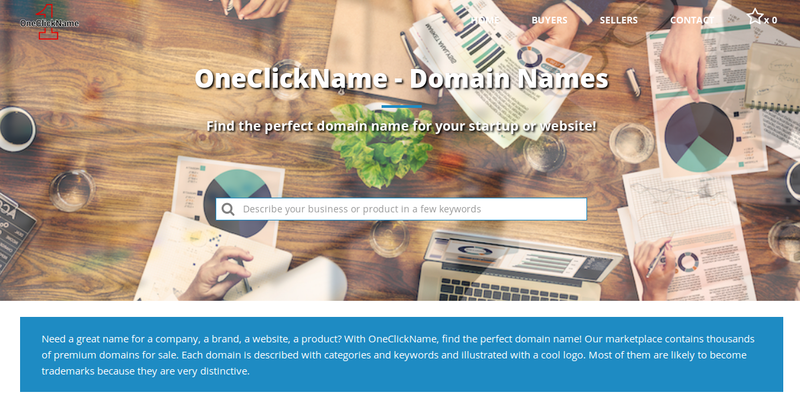 For inspiration, click the button at the bottom for funny and unique business, product, or domain names. The tutoring market will love this free tool. To find a title for their tutoring company, users can browse through name selections for inspiration. Sadly, Teachworks doesn’t offer name uniqueness, so you’ll need to ensure your name isn’t used by someone else or trademarked on another platform. What type of company do you intend to operate? Is it a website? Startup? A whole brand? Regardless of the type of business, Getsocio may be helpful. Choose from three different generators and type in as many keywords as you want. To see thousands of choices, click “Generate names”. 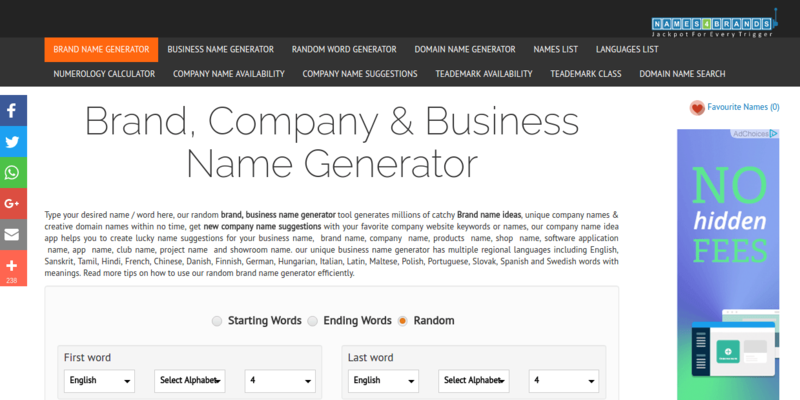 These business name generators are just some of many to use. Don’t forget also to pick a relevant domain name to be present online. A lot of useful information about domain and hosting registration, about making a site in general for beginners, you can find on the Websitesetup here. Returning to the business name generators, there are many to be found on the Internet, all of which differ in some way to help you pick the right name for your organization. Make sure you take the time to pick the right name since the one you choose will be permanent. It’s not worthwhile to have a change of heart a couple of years later after putting in so much work into branding the initial one.